You should not run any hacking tools or attempt to hack third party website which may brings some dangerous for you. Also some peoples even does not know how to create their own website for testing purpose or even for serious business. So i will explain that how we can install our own web software such as wordpress, phpbb, mybb, joomla etc. Installing these software is very easy. Let’s start. 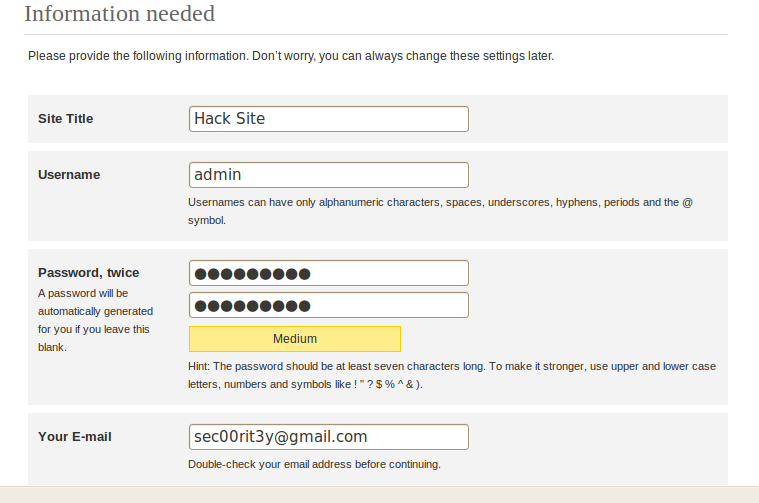 Specify your mysql password. 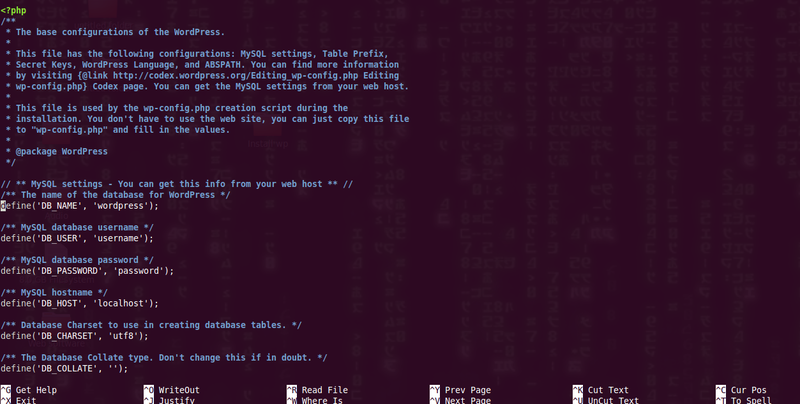 Remember Defaultly it will mysql root password (Be aware!!!). 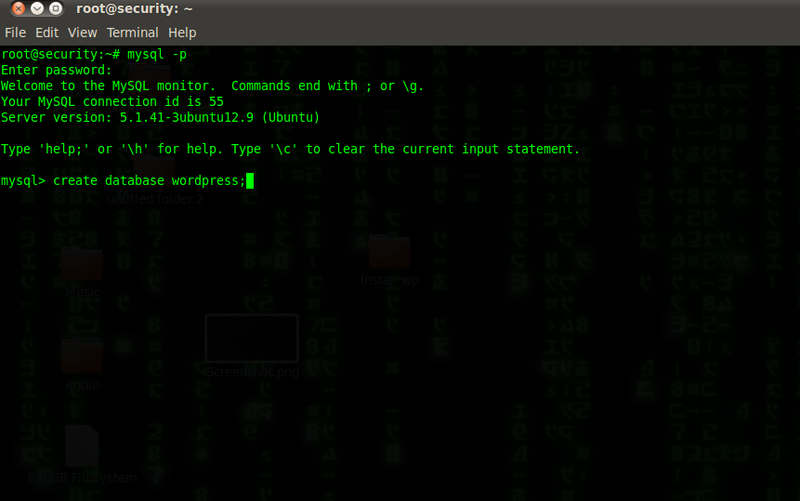 Please download the wordpress from their site(http://wordpress.org/latest.zip) with command wget -c http://wordpress.org/latest.zip. Simply fill up the forum and click on “install” button. 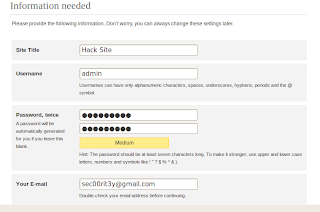 click on “Log in” button for wordpress administration . Now enjoy, practice the security in your own site.